One year on from the launch of the Welsh gTLDs, there are now over 19,000 registrations for .cymru and .wales out of a total of 16.5 million registrations across the 950 plus new gTLDs that have been delegated. For .wales registrations are closing in on 13,000 while there are over 6,250 registrations for .cymru. Some of those embracing the new gTLDs are the Federation of Small Businesses, Football Association Wales and the Welsh Government. 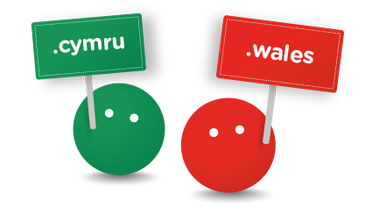 The gTLDs provide an opportunity for registrants to demonstrate they’re part of the Welsh people, identity and language. Research highlights that one in 30 domains include a Welsh surname, with Jones being by far the most popular, followed by Evans and Williams and with many of these choosing a .cymru or .wales for their personal email addresses. Wales’ tourism offering is also making the most of the gTLDs, with eco, holiday and hire ranking amongst the most popular words used by registrants.